Lund January 2015: SimonsVoss is technology leader within digital locking and access control systems, with customers in many different lines of business. 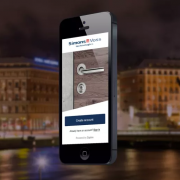 Zaplox mobile keys are now part of the SimonsVoss solution, an important and strategic partnership that opens up new markets in both Europe and Asia. 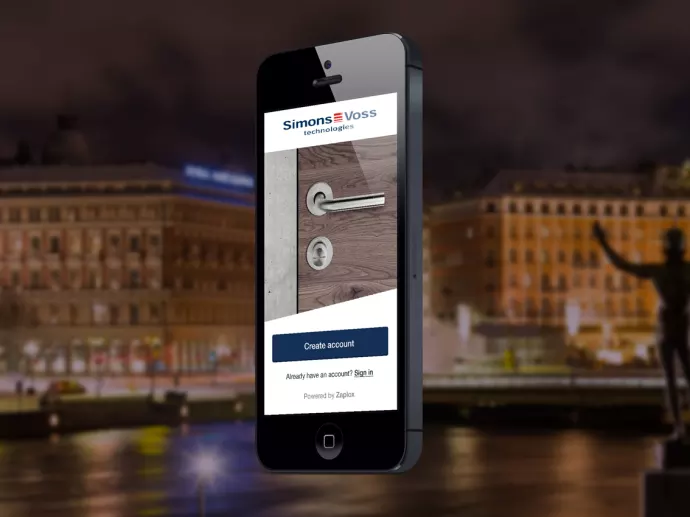 ”We are very happy to have our mobile keys integrated in SimonsVoss’ lock solutions, that are in the forefront of technological development. SimonsVoss provides locks to customers like arenas, museums, banks, public service buildings and schools, which now opens new commercial possibilities that we have prepared for. Our system has been in commercial use since 2011. It can support all locks and access systems and works on all smartphones, which means that it is extremely scalable”, says Magnus Friberg, CEO at Zaplox. For the customer, mobile keys make key management more efficient, cost- and time saving. The mobile key app is not only used for opening doors, but may also be customized with a lot of smart services. ”With the Zaplox mobile key inside, we improve the customer benefits of our solution and simply provide an even better product with clear added value and more technical and commercial advantages. This is of course also beneficial when we now put more focus on the hospitality market”, says Bernhard Sommer, CEO at SimonsVoss Technologies GmbH. ”SimonsVoss is an important partnership for us and fully aligned with our partner strategy, where our system makes it possible for our partner to offer additional customer benefits and efficiency”, concludes Magnus Friberg. Zaplox operates globally and offers hotels and companies efficient mobile keys and systems for opening doors with smartphones, as well as the possibility to create new services and added value through the use of mobile applications. Systems from Zaplox have been in commercial use since 2011, and are installed in hotels, holiday dwellings and offices. They are easy to use and work on all smartphones. The Zaplox-system can support all locks, hotel systems and access systems, and can replace or coexist with key cards, code locks and physical keys. Zaplox was founded in 2010 in Ideon Science Park Lund, Sweden. SimonsVoss uses digital technology to revolutionize classic mechanical locking systems and integrated access control functions. SimonsVoss is technology leader in the rapidly growing market for digital, battery-operated locking and access control systems. SimonsVoss has local branches in Austria, Great Britain, France, Italy, Spain, the Benelux, Singapore and the Middle East. Headquarter is situated in Unterfoehring/Munich, and production and logistics center in Osterfeld, Germany.